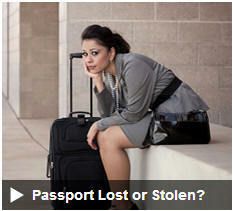 Some countries may turn you away on arrivals if you do not not have up to 6 months left on your passport. This scenario is obviously a highly stressful and costly for travellers who are denied entry and so its highly recommend that you do not presume and check before booking flights and certainly before travelling. 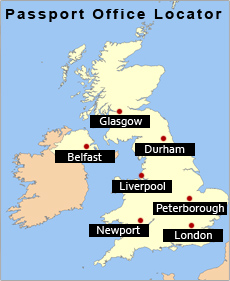 Passport Advice & Services recommends that you renew your passport if it has less than 6 months remaining, for peace of and to ensure that should your travel be delayed or your holiday / business trip extended then you will not have any issues gaining entry back to the United Kingdom or travelling to another destination. Renewing your passport will add 10yrs to your passport and will ensure that you do not have any issues leaving or re-entering the UK. You can renew a passport at any time. It is highly advisable that you do so before it runs out so that you are always able to travel overseas for travel or business without having to wait up to 6 weeks for doing so. If you are outside of the UK and need to travel back to the UK immediately then you will need an Emergency Travel Document, if you are outside the UK and can wait for a new passport then you can renew your passport via the Standard Application Process. If your passport has expired or will expire before you return to the UK then you need to renew your passport before you travel. You can use the Standard Passport Application process which is the slowest and cheapest way to receive a new UK Passport however this can take up to 4 weeks for renewals and 6 weeks for first time applicants. 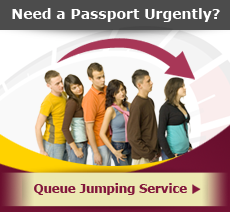 If you need the passport urgently then an Emergency Appointment is the fastest way for you to renew your passport. You can receive your passport within 4hrs providing that you have correctly filled out the application form, brought two passport quality photographs and supporting documents required. You can also save time, money and accommodation expenses with a Passport Office Appointment Exemption where no visit to a Passport Office is required but you can still benefit from the Premium 1 Day Service and the Fast Track 7 Day Service.